When you ask Milton that question, more often than not, you get an answer like "Doing great!" or "Never been better!" If you're like most people who live and work in downtown Orlando, you've spent some time talking with Milton about what's going on with him, the weather, the Magic, politics, faith, the economy, or one of a hundred other topics that he's happy to chat about with you. However, you may not know much about the story behind the man you know today, where he's been, what he's done, and what path he's taken to end up dispensing wisdom, philosophy and soft drinks on Orange Avenue. 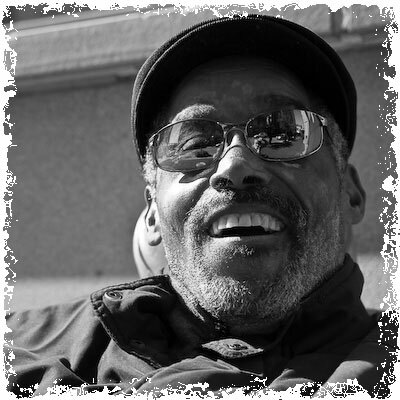 The idea for this site came from a conversation among friends at lunch, and someone said they'd heard a story about how Milton came to be in a powered wheelchair -- which involved an accident, and was entirely false. There may be others out there who have wondered about how he got to where he is today, but are too polite to ask awkward questions. This site is for those of you who know Milton, but would like to know more. This is his site. Everything here is written with his permission, and in his words. It is for his friends, the people who stop by and say hello every day. If you have a question that isn't answered here, please ask it. There are probably others wondering the same thing. Thank you for taking the time to get to know him a little better. Alyssa Velazquez, a UCF Film Student, has been working for the past 6 months to create a documentary about Milton. She visited his church, and interviewed many of his friends in an effort to create an accurate story of what makes him special to so many who work and play in Downtown Orlando. It screened for the first time at UCF on May 3, 2009. If you know Milton and want to tell him what you think, please write a note here. 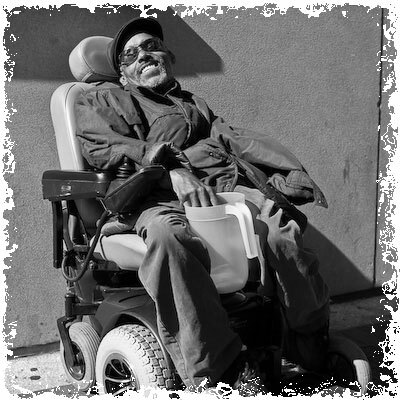 If you are able to give a small donation, it will help keep his wheelchair in good working order.